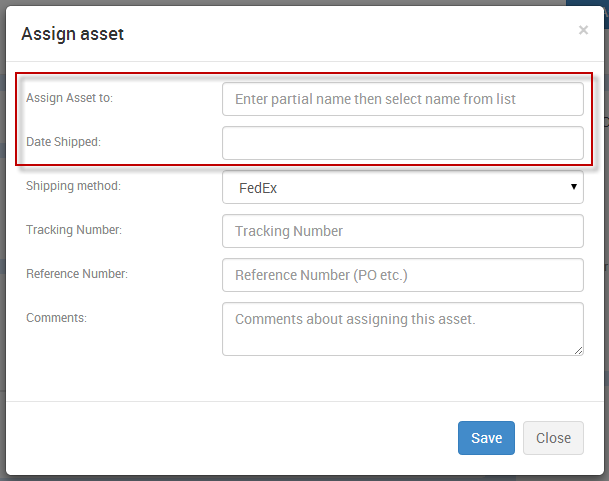 To ship/assign an asset to a Customer or Contact, click on the “Assign” button. Fill out the following form and click save. The Customer name and date are the only required fields in this form. 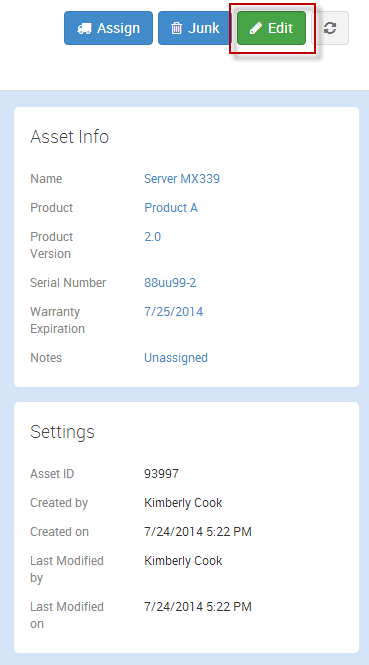 This asset will now be moved to the Assigned Tab, and can be found under the Inventory tab for that customer in the Customer section. Typically you will want to return the asset back to the warehouse when the asset is returned from the customer. This allows the Asset to be in the Warehouse, making it an available asset. You are then working with a clean slate if you need to “Assign” the asset again to a new/different customer. Your other option is not to “Return” the asset back to the warehouse, but instead choose to “Assign” it directly to a new customer. In this case, all of the contacts will remain associated to the asset. Furthermore, if you associate the asset with a ticket, all contacts assigned to the asset will be added to the ticket. 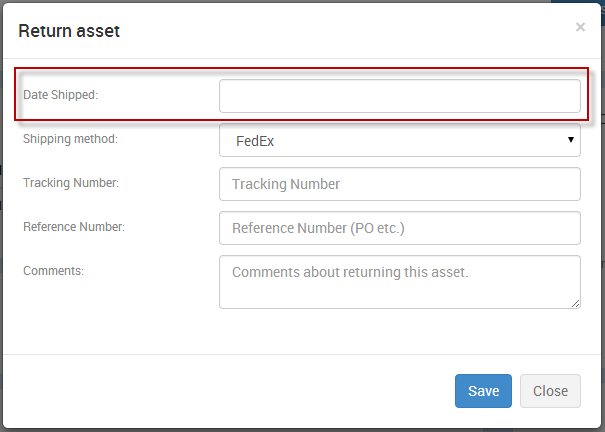 To return an asset back to the Warehouse, click the “Return” button. The date is the only required field. This asset will now be moved to the Warehouse tab. To send an asset to the Junyard tab, click the “Junk” button. Adding a comment is optional. This asset will now be moved to the Junkyard tab. This implies that this asset is no longer available to ship to customers, however you can still keep it in your system for informational purposes. To edit an asset, click the “Edit” button. The button will turn green when in edit mode. When you are finished editing, click the edit button again and it will return blue. While in Edit mode, the Asset Info fields will turn blue. Click on any of the fields to edit them. If you would like to see the assignment history of a given asset, simply expand the Assignment History section. This will show you every assignment that has happened over the life of the asset. If you would like to see the action/edit history of a give asset, simply expand the Asset History section. This will show you every action that has happened over the life of the asset. This tab has the same ticket grid that is found throughout the TeamSupport application. You have the option of attaching a file to your Inventory Asset. For example, you may want to upload an image of the asset before shipment. The maximum file attachment size is 25MB per file. To upload attachments, click the “Add Files” button. You may drag and drop or browse your computer for the files.